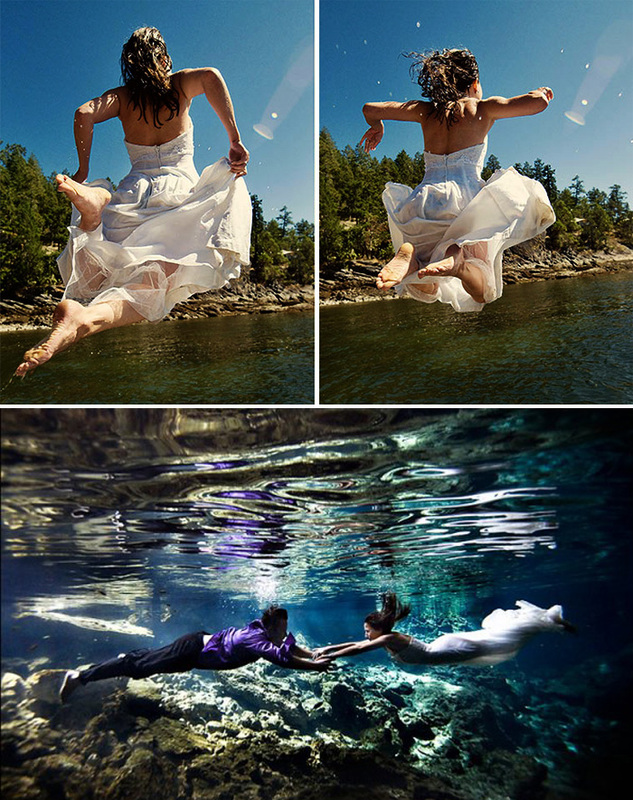 Trash The Dress – Would you? Well, this is a new one for me and I’m wondering if you have heard about it?! 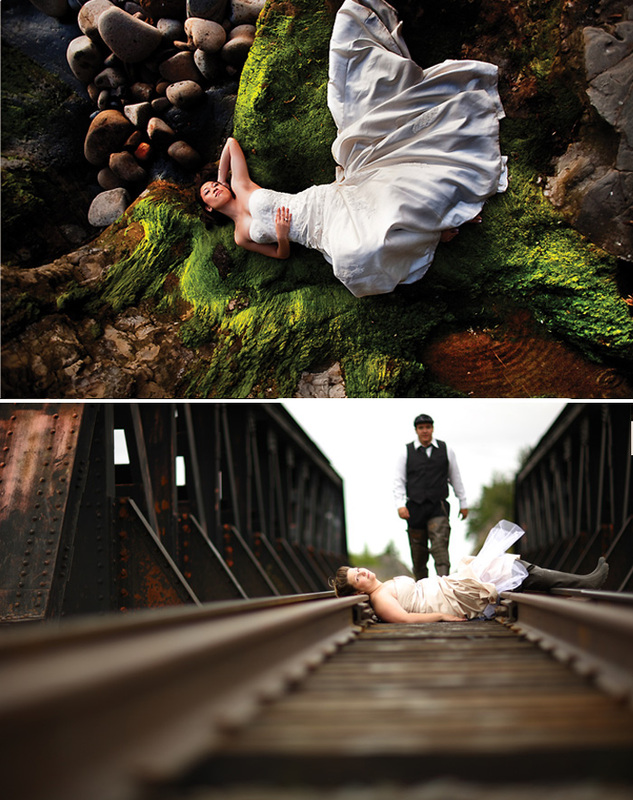 The craze I’m talking about is to trash the dress! Picture this, you plan your big day, buy your perfect dress and no doubt look stunning and then in an act of post wedding rebellion your new mission is to trash your dress. Whether it be through flame, mud, water – the choice is yours. Trash The Dress – Who Started it? It sounds utterly crazy doesn’t it? 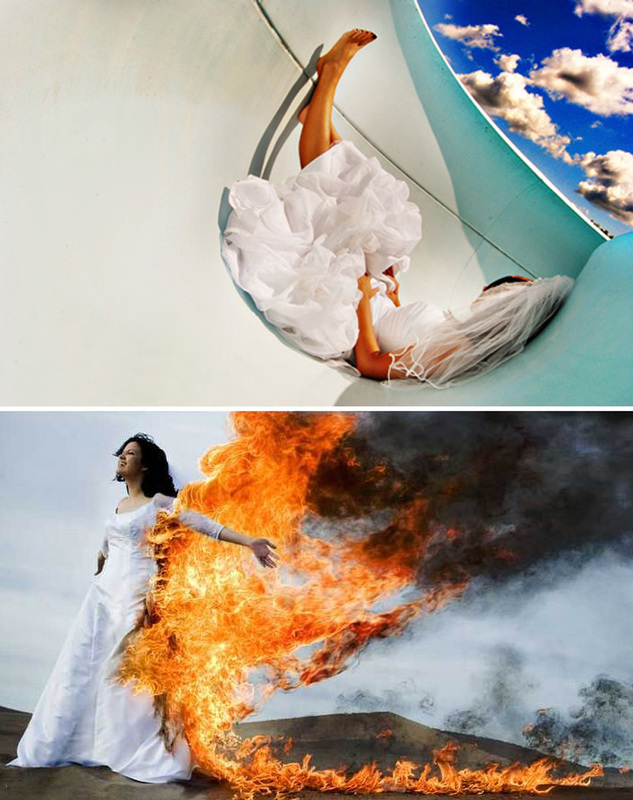 Well, trashing your wedding dress is actually quite a normal thing to do in the photography world. It was started in 2001 by a gent called John Michael Cooper from Las Vegas an you can see that the trashing is captured on camera through a glam photo shoot. I love the varying backgrounds; lakes, graffiti walls, train tracks, whatever takes your trashing fancy. So ladies, the idea is that you get to have two days of being the centre of attention; the first being, looking beautiful and marrying the man of your dreams and the second is all about doing whatever the hell you want, to your dress; like trash your wedding dress! Although it is an alternative choice for your dress, it sure does save on storage space! Lurrvv this one, elegant but off the wall and very edgy. It’s amazing what a graffiti backdrop can do! Our recent post about Alpine images also features Becca in a lake, she chose to ‘trash the dress’ and still looked beautiful, sneak a peak. … it’s a pretty expensive way of getting rid of a dress! tell me about it, I was amazed at it’s popularity, you get some stunning pics though! Wow, thank you, I really appreciate you kind words. As a wedding photographer, I have heard of this concept and know of fellow photographers who offer a Trash the Dress sitting after the wedding ie bride wading in the sea. I think it’s a good idea to do a photo shoot after the big day where the bride isn’t as worried about getting her dress dirty so you can get some arty shots like the dreamy one above by N Koester, but I wouldn’t want to trash the dress completely. Personally, I put my wedding dress on every year on our anniversary and have only missed one year when our son was about 3 weeks old! So I’ve worn my dress about five times since my wedding day. I love the idea of putting my dress on every year, I might have to try that on my next anniversary! The notion of trashing the dress to me is the symbolic gesture of something coming to an end and the hope of never having to wear it again. I think this is a very powerful statement about the marriage and relationship. If a bride actually chooses to ‘trash’ the dress or create a ritual symbolising the change, this is also a respectful way of confirming the marriage. I think it’s a very romantic gesture in its entirety.